A man (Charles Boyer) whose invalid wife (Rachel Kempson) suddenly dies of a heart attack marries his young lover (Ann Blyth), much to the chagrin of his long-time friend (Jessica Tandy), who has a crush on him. Soon Kempson’s nurse (Mildred Natwick) begins to suspect that Boyer may have killed his wife, and Boyer’s newfound happiness is compromised. 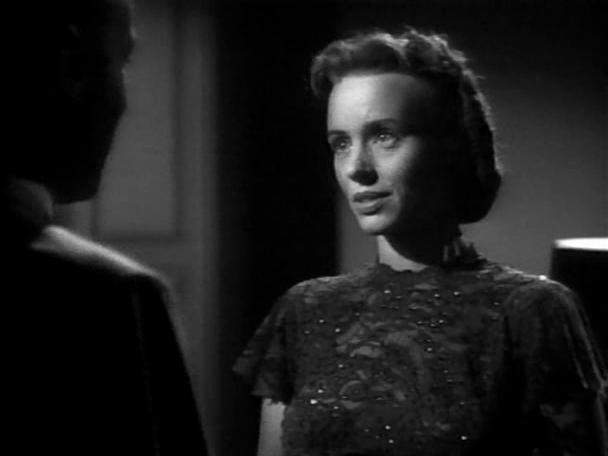 Zoltan Korda directed this adaptation of Aldous Huxley’s story “The Gioconda Smile”, starring Jessica Tandy (fresh off of her success on Broadway as Blanche DuBois) in one of her meatiest cinematic roles. 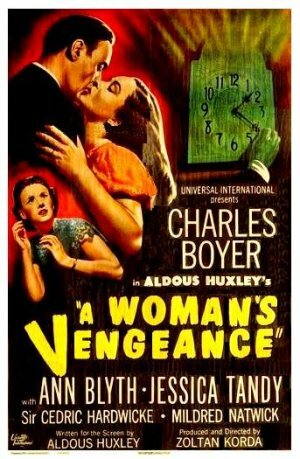 Unfortunately, the storyline itself isn’t quite up to her estimable talents; Huxley’s attempt to set up an array of potential murder suspects in the first 20 minutes doesn’t prevent one from easily guessing the real culprit (if paying attention), and the pacing of the entire affair seems somewhat off. Meanwhile, it’s difficult to understand what Boyer sees in Blyth, and Cedric Hardwicke’s role as an omnipresent, ferociously understanding family doctor feels contrived at best. With that said, atmospheric cinematography and Tandy’s brave, psychologically nuanced performance make this a melodrama you certainly won’t mind sitting through once. No, though it’s worth a look if you stumble upon a copy. First viewing. A once-must (and a personal recommendation). Aldous Huxley wrote a hastily-constructed crime story (the only such story he wrote) called ‘The Giaconda Smile’ – a title, inspired by the Mona Lisa, which I had known about for years. Today I read the roughly 20-page story – which Huxley later developed into a full-length play and then the screenplay for this film version, which was somehow given a less-interesting but clearly box-office-y title. Simply put, it’s a terrific, riveting film. It’s a ‘whodunit’ in which the ‘who’ is not all that important until the latter part. 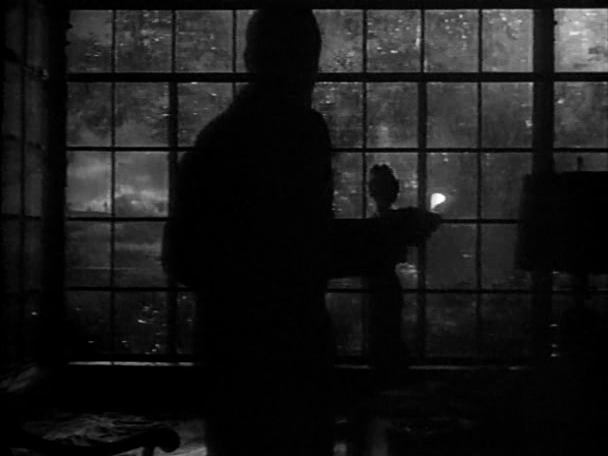 The screenplay (unlike the short story) cleverly establishes several possible murderers early on as it unleashes its tale of bitterness and adultery. The writing is sooo good and the performances, carefully molded under Zoltan Korda’s direction, are nothing less than top-notch. This could easily have been a really cheesy story – but, in several ways, the tension ultimately becomes kind of unbearable as it progresses. Definitely a film that should be better-known and appreciated.